In this creator-owned era, getting people to actually support and buy your comics can be a difficult task. Many budding and even veteran creators struggle to get their work seen and read. It’s one of the biggest obstacles in the entire industry. And when it’s your own book being released without a PR/marketing department behind it, the struggle can be even more real. That’s why I’m here today. Whether you’re talking self-published or comics released at Image, creators need to be aware of certain things to succeed. 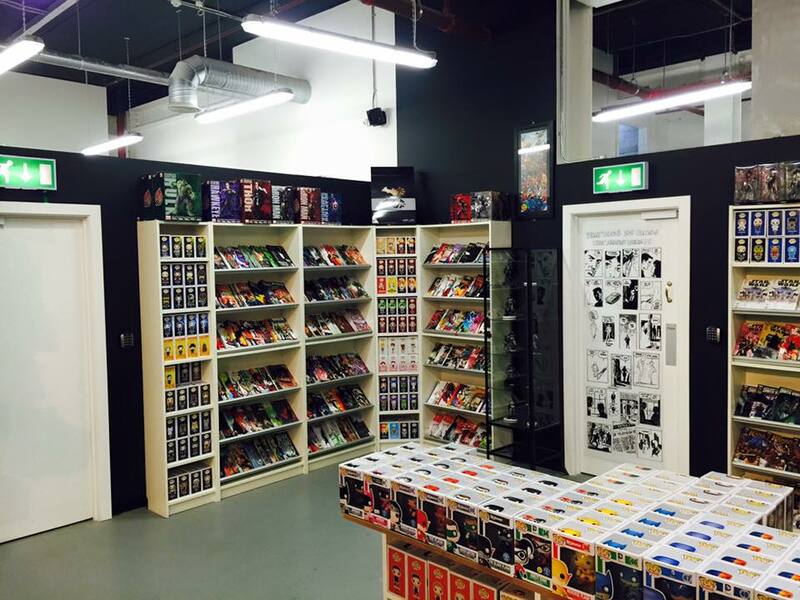 As the person running Big Bang Comics – a comic shop in Dublin, Ireland – you wouldn’t necessarily think of me as the person to deliver those lessons. But I’ve helped several creators before with guides on how to navigate the world of selling your own work. Today, that’s what I’m aiming to help you with. This guide is primarily for creators who have worked with other publishers before and are now venturing out on their own. But if that’s not your story, there’s no reason you couldn’t apply some of these techniques to your own book – even if you’ve never worked in comics before. Keep in mind, though, this is by no means a fool proof plan to creating a hit comic. These are just insights into how you could maximize your reach, and pretty inexpensively at that. It is all informed from experience, as I’ve been selling comics for what feels like a long time. At least in my shop, I know what works. The ideas in this piece are built on the direct market – i.e. comic shops who order through Diamond Comic Distributors – and while not specifically the goal, this guide could prove useful when your book is collected and distributed to the book market as well. Retailers are your true customers! As a creator, you’re not actually selling to the nice people you meet at conventions. While it’s good to be friendly to fans, one of the most important things creators don’t realize (or choose to ignore) about the direct market is that fans don’t buy your books. Sure, fans eventually buy the comics. But to reach readers, comic shops have to order them. That’s your main goal. Don’t get me wrong, maximizing fan interaction and reminding them that you have a book out is vital. But if that’s all you’re doing, you’re doing it wrong. Telling fans you have a new series coming out months before release is fun and all, but those people on Twitter who interact with you? They don’t have the deciding power in what stores stock. Even if they’re excited for your new book, odds are they won’t actually pre-order at their store. Trust me on this. Getting people to pre-order comics is like pulling teeth. If I could find the secret to it I’d be rich. When an issue or title is solicited in Previews, it’s generally two to three months before a title is released. This means it’s difficult to build buzz and maintain for two months, let alone three. But hey, it’s your job to do it. Remember, the end users – the reader – aren’t your market yet, it’s people like me. The retailers. We’re your real customers and, for better or worse, and we’re all so different it’s hard to find one technique that works for everyone. Frankly, sometimes it feels like half the retailers in this business aren’t geared for a lot of what we advise. So if anyone responds negatively to you, just politely say thanks and move on. It’s up to you to make shops pay attention to your product. I’ll cover ways you can do that later on, but first we’ll go over a few things you need to know. Let’s start with a lesson on the market itself. How does the Direct Market work? Creators need to know how the system works. You’d be amazed at how many have no clue, as it isn’t necessary for a for-hire gig. But if you’re doing this yourself, it’s worth knowing as much of the process as possible. The most important thing you’ll get when a book is solicited is your Diamond order code. Memorize this to the point you know it as well as your phone number and you dream about the digits. Whenever anyone asks, tweets, facebooks, instagrams or tumbls you, you should have those digits down pat so they roll off your tongue. When the order form is due from shops, it’s called an initial order. 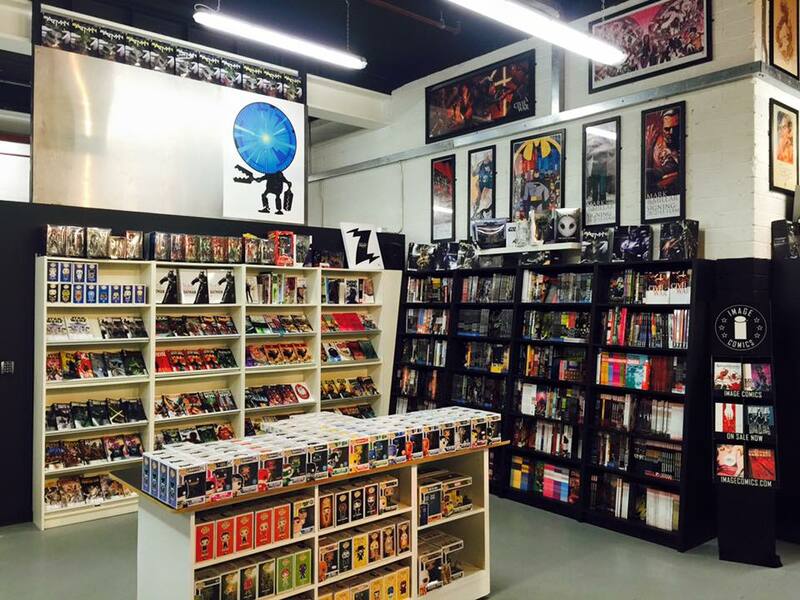 Let’s say for argument’s sake there are a total of one hundred comic stores worldwide. Say we order fifty copies and all the other retailers order fifty. Diamond then knows they need fifty copies for every account and can let the publisher know five thousand copies have been ordered. The publisher now knows based on initial orders a minimum of five thousand copies should be printed. On top of that they’ll do an overprint – generally 10 to 20% for single issues – to cover damages and reorders. So the total grows to around 5,500 copies. Initial orders come in weeks before final order cut-off (which we’ll call FOC from here on out). The FOC date is the last chance to finalize numbers and the most important date for your book. It’s typically around a month before the release of your comic. You’ll see my shop harping on about this on Twitter a lot. That’s because so many creators who have books on FOC don’t realize when their FOC actually is. This is when Diamond locks orders and publishers have their final numbers. It gives them an idea of how many copies they’ll need to print. So say I’ve ordered those fifty copies. In the meantime, a creator tells me they want to do a store signing the day of release. That allows me to order more by FOC and be guaranteed to receive them. Or, conversely, I could reduce my order before FOC and get 25 instead of 50. If I need to order extra copies after FOC, I can do an advance reorder. Generally these open soon after FOC. It’s up to a week or so before the title ships and these come from the extras Diamond has ordered. If a title looks like it’s going to blow up and shops order big, it’s a strong indicator to the publisher that they may need a second printing in the works as soon as possible (but more on that later). Ninty-nine percent of the time we’ll get the copies ordered with the advance reorder at the same time as we receive the copies from the initial order. Fine. Sometimes it’s a week later, but usually they’ll come in together. However, the vast majority of readers won’t order their books until the Friday before release. Otherwise, they just expect them to be on the shelf the day they go in. If all of a sudden 70 people want that comic we ordered 50 of, I’ll need to contact Diamond on the Monday before release and see if I can get 20 extra copies the following week. If all goes well, Diamond will have them and that’ll come out of their overstock. If they don’t but can get them, they’ll go to backorder and hit up the publisher, who in turn should have an overstock of its own. When you see a creator tweeting about how their book has sold out despite your shop having copies, it’s because Diamond has sold through their inventory. Once those extras are all gone, you’ll sometimes see second, third, fourth printings show up. As for collected editions – trades, hardcovers, etc. – the same principles apply. You still have your initial orders and FOC dates. Pre-orders are not as high as they should be on these too. But now you have a new problem. Many retailers aren’t into stocking collections in large quantities because for the same money, you can buy plenty of single issues of, say, Avengers. And for that reason you’re going to have to work a little harder than before on getting the word out to those stores. 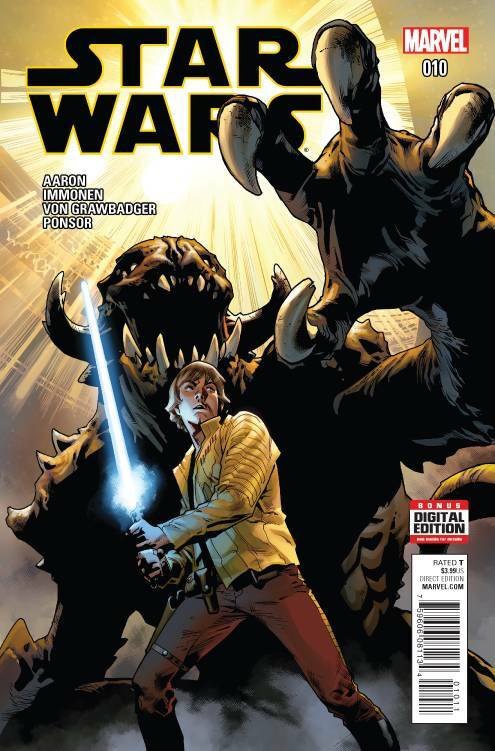 Many stores focus on single issues over collected editions still. You as a creator need to keep that in mind. How can you, the savvy creator/self-promoter, get around this? How can you, at the end of the day, sell more books in this often confusing Direct Market? 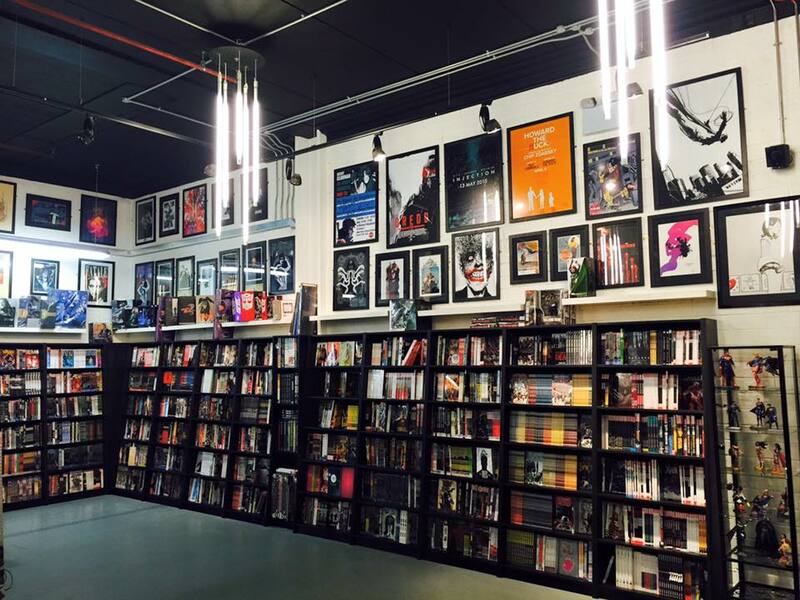 This is where you’re pushing your book on the retailers, and you’ll be immersed in this all the way through to FOC and beyond (your book doesn’t just get published and that’s that – remember the re-orders). You probably will hate it by the end, but focusing on them will pay off. Retailers often respond well if you engage them and help make your book a hit. And remember, a hit for us is a hit for you and vice versa. Retailers want to sell more of everything. It’s money in their pockets too. This where you’ll be pushing your book to the public, giving them the Diamond order code to share with their shop so they can pre-order the book. This is important. Often a hint of pre-order interest is enough for a store to take a chance on a title. Most recently that happened for us with Moon Girl and Devil Dinosaur. We only had a small amount of pre-order interest but the weekend before its release it just blew up, with tons of people ordering it and adding it to their pull lists. So now we understand the market a bit better, the question is how can you successfully promote your book to both readers and retailers? Let’s look into that. Everyone envisions that marketing a comic – or anything, really – means you’ll have to spend money. But there are free ways to market your book. The only problem is they’re time intensive. Let’s start with what you shouldn’t do, though. First off, do not cold call stores. We could be busy, we could be jerks or we even could be busy jerks. At the very least, odds are we won’t have any way to record the information you give us over the phone other than writing a note down. And I wouldn’t trust 99% of retailers to do that without making mistakes when they have customers in store at the same time. I don’t even trust myself. Instead, email the stores to build awareness in your product. It’s important not to send everyone the same email. Otherwise, they may think you’re spamming them because you didn’t take the time to write them individually. Retailers talk, and there are countless forums and secret Facebook groups – you didn’t hear that from us, okay? – where they do. And someone is bound to comment on that email they received. When they do, maybe someone else says they received the exact same message. That’s a problem. The best way to avoid this is to write each store a paragraph aimed at them. In it, you could ask how things are in their store, share how you heard about them, ask if they’d be interested in a preview…things like that. Trust me, it’s a lot better. It goes a long way compared to “HERE IS MY COMIC! LOOK AT IT. JUST LOOK AT IT!” Say you’re someone that works in comics and you worked on (insert comic here) and you have a new comic coming out soon. Or it’s your first book and you’re excited about it. And hey, here are the details and here’s how you can order it. I’m betting that only 30% of retailers will respond, but nearly all of them will read it. This will raise awareness of your book and you as a creator. Awareness is key here. We have a couple of thousands of products to order every month. It’s easy for a single comic to fall through the cracks. Keep in mind, ideally you’ll do this once it has been solicited in Previews and Diamond has given you its order code. Otherwise it’s a waste. If the retailer can’t order it and then – or at least in a couple of weeks when their initial orders are due – that’s a problem. The good thing is because you’ll be doing it for the singles first, by the time the collected edition is ready, you’ll already have built rapport with some retailers. Hopefully it will be a positive one so they’ll be more inclined to get your book because they know of it and you. Here’s another way to get a store behind you: make them feel included. Email them process pieces, sketches, etc. Exclusives the public generally doesn’t see. If a retailer enjoys this, they’ll promote it just because they’re excited. And if a retailer is excited, the sales in store will go up. Retailers are your gatekeepers, and an excited retailer will sell a lot more of a book than one that doesn’t care. It doesn’t matter if someone posts this exclusive content online, either. We’ve heard creators worry about this. This shouldn’t be anything that’s important to the story. If anything it will only help promote your work in the long run. If a store really likes a title, it’ll become emotionally invested in it. That will work for you. While there’s not much point doing any of this until the book is solicited, you can get prep done and gauge the interest in your book. What might be a pain with this is that when a store responds to your email, you’re going to have to write them back. If every store responds to you, that’s a hell of a lot of emails. This is, again, time intensive. But it could mean the difference between a shop ordering one copy versus five or ten. Multiply that times the stores you interact with and you can see how this could be beneficial. The more this happens, the more initial orders rack up and the more the publisher sees demand for your book (and you). So they’ll up the print run and you will make more money. Same goes for the eventual collection. What can you give or show retailers to build excitement, then? You can’t go wrong with preview pages. You can just include these in the email. But a nifty and free trick is to just set up a Dropbox folder with images. You can just send them the link. Ideally, include a full issue or two if you can. That gives us a better idea of what we’re putting our money down on and shows us that there’s a good chance the book will actually come out in time. Stores love when you provide these kinds of things. Flyers? Bookmarks? Posters? Stores will take them and give them away and hopefully get you new readers, just like that. 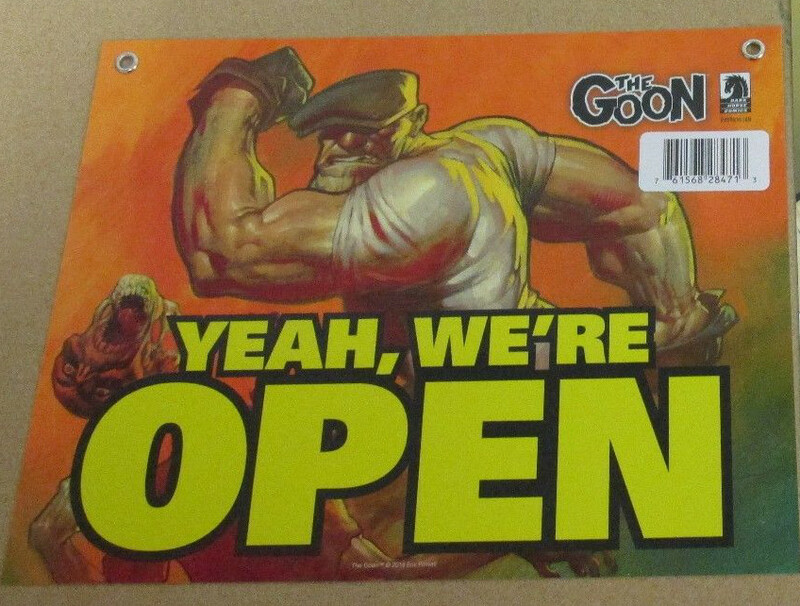 The best promo item we’ve ever been sent were Open and Closed door signs for The Goon by Eric Powell and Dark Horse. Not only do we use them every day but the profile of the Goon was raised immensely in our store. It worked the way it was meant to in the first place. We had more people interested in that title because a) the sign is cool and b) it exists. It’s there and makes readers notice something they’d normally have missed. There are other successful creators that have done similar things too, obviously. For example, look at how the Gotham Academy creative team got promotional imagery in stores before DC ever sent out any promotional material. Loads of stores tweeted pics of their promo images up in the store, right? Therefore, everyone who goes to that store saw a book called Gotham Academy was coming out. Everyone who followed that store on Twitter saw it and every time Becky Cloonan and Brenden Fletcher retweeted it, awareness of that store was raised. Which in turn probably got them a few more sales. And yes, online interaction with a store is important. We’ve been at this for years and we still have people in who only discovered us because their favorite creator mentioned us online. The market is always expanding. People keep finding their favourite creators online every day. And retailers who get more sales and their profile raised a little because of that online interaction will be more inclined to invest in your product. It’s cynical, maybe. But it’s true. 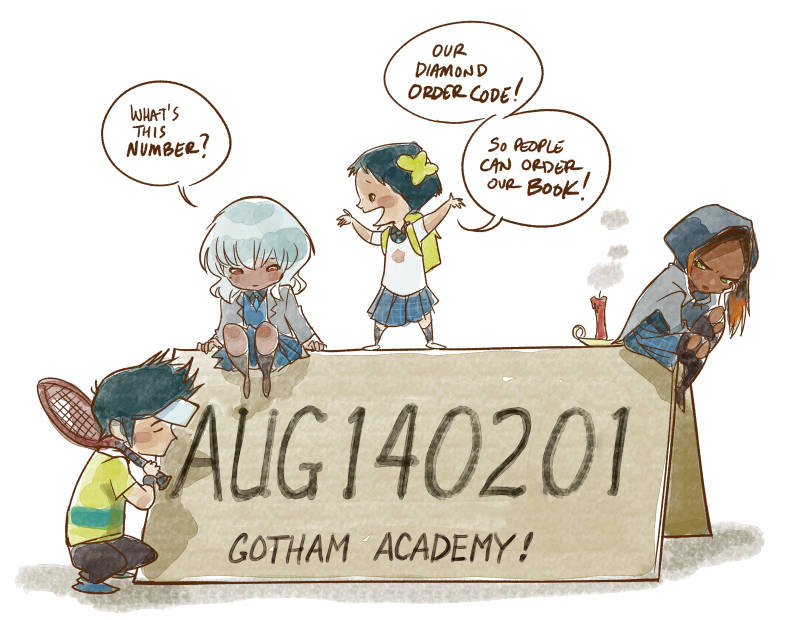 Also, remember when Karl Kerschl did that picture of the Gotham Academy characters sitting on the order code and everyone shared it because it was cute? Not only was it adorable, but it gave everyone the order code to give to their store. That was one of the smartest things I’ve seen in a long time. Simple, clear and effective. This works for the singles and the eventual collected edition. You can include a poster for them to print out on the Dropbox folder that includes the Diamond order code, FOC date, ISBN, etc. You can entice them to use that by saying if they send you a tweet of it up, you’ll give them even more free stuff later on. It’s like unlocking extras in a video game. The order code/ISBN information for the trade is important to include. If a store puts the poster up, they’ll have the code nearby if someone asks to order the book. If it’s right there, they have no excuse for not ordering it. The public will have information that normally they aren’t bothered to have and they’ll know the code and the ISBN just by looking at it. After making contact with all the retailers, wait until you see who responds. The ones who do receive a package with promo stuff. But make more packages beyond the amount to cover respondents. As soon as you tweet something like, “oh, it’s been a long day putting together packages for comic shops filled with free stuff,” shops like me will tweet you and ask if they can get one too. If you have this ready to go it will save a lot of time. While free stuff for them costs you money, you can be smart about what you do and have something made that will always be useful. And you can never go wrong with bookmarks. Include the ISBN, the order code, every piece of info about you, your book(s), site, everything. People will be using these for years and they’re generally one piece of litter they never throw away. Remember, you only have a window of about eight weeks to get this done before FOC on issue #1 and eventually again for volume one of the trade. So what about the general public? That’s complicated, but it still starts with the retailer. Do your best to make every retailer feel like they’re part of your book because a huge problem you and every other creator face is that, whether you like it or not, you’re totally removed from the end user by two or three months and a few middle men. It’s up to you to engage that potential reader to the point they’re interested in your book and actively seek it out when the time comes. If you’re successful, readers will go into their store and order it themselves before FOC. When the series is up for pre-order and is solicited, it’ll be around two to three months before readers can actually go and get the book in a store. I can only give you my store’s statistics but depending on the title, only 20 to 40% of new comic orders are taken up on pre-orders that far ahead. If we receive no pre-orders for a title, odds are we won’t order high unless it’s going to be a guaranteed seller. For example, Marvel’s Star Wars line. If I recall correctly, we had about 40 pre-orders for that series but they sold unbelievable numbers once released. The same happened in a lot of other stores, actually. Battling Boy was a good example of this, as well. There was no buzz before release and we only ordered ten copies initially. We had no pre-orders for it and people had barely even mentioned it. Turns out when we sent our usual email with all the new releases coming out, every copy was taken immediately and we had zero for the shelf. When that happens to every shop like with Star Wars and Battling Boy, Diamond’s overstock is depleted quickly. This is because the majority of people who buy comics order them when they find out that they’re coming in, not when they’re solicited. Which is generally the Friday before the title is released, as that’s when comic sites run stories about what’s coming out or stores like ourselves send out a confirmed release list. The reason this happens on the Friday before release is that’s when Diamond can confirm a title is in and will be on its way to you. They’re only receiving the stock two days before themselves. Things you need to capitalize on here that will help with your readership base are your branding and making readers aware that you have new comics coming. Since you’re doing the book yourself, this will be easier. Pretty much every person you know will spread the word via Twitter or other social networks. And you’ll mostly be in control of your own “advertising campaign” – even if it’s just you tweeting up a storm from your office – as you won’t be subject to a larger company’s priorities. Your work is your own superstar and you are in control of the promotion. But that will only reach the readers who are into social media. There are many more who aren’t. You’ll have to do your best to reach those readers, and again, the best way to do that is to get the retailers involved. But it’ll be harder for the public to get it as they’ll be reliant on the stores to carry it, and the stores will be reliant on customers being aware and ordering based on the buzz online. This is where the whole thing becomes cyclical and one aspect of promotion and distribution affects how many units are shipped to end users. Same with the collected editions. You’re not going to have book distributors carrying it in their catalogues for a while and some bookstores will be wary, as it’ll be harder to carry what is to them an unknown title. Their orders will either be blind – because it won’t be featured by a book distributor in a catalogue for a while – or if you’re lucky, someone that works at a bookstore will be into comics and will be able to influence the orders. By the way, some publishers – like Image, for example – are brilliant at this. Even if you’re not doing a series with them, take a look at how they do it. You can always learn a few things. There’s one other thing worth mentioning: the “cool” factor. Carrying a new book that a shop’s competitors pass on can raise their profile in whatever town or city it’s based in. If your title blows up after a quiet launch and there’s only one shop readers can find it in, that’s free publicity they can get just by being onboard. Helping a store become the “cool” one in their area adds to your overall appeal and can help gain a shop new customers. So pay attention to the shops that might already have that cachet in their area. They may be more likely to order your comic, and being associated with them could raise the profile of your book. All of this ties together, though, and all of the channels of distribution work closely together. That will affect sales. That is why identifying retailers who will and won’t carry your book can be so important to your book’s outcome. Not just because they may carry it. Just think…even if there’s a small poster in their window about your book, that may raise your book’s profile. It could build awareness and the pedestrian may eventually buy it somewhere else even! Which is great for you, but alas, not the poor local retailer. Like I said before, there’s no certain way to sell your book. This is just me rambling about what I’ve learned in the the past thirteen years of working in retail. If any of it comes of use to you, I’m glad. Sincerely, I hope it helps. What you need to remember, though, is as a creator, the greatest difference maker in selling your books is you. Ultimately, these tips can only take you so far. You have to do something with them to help your book find its audience. Now get out there, and good luck. 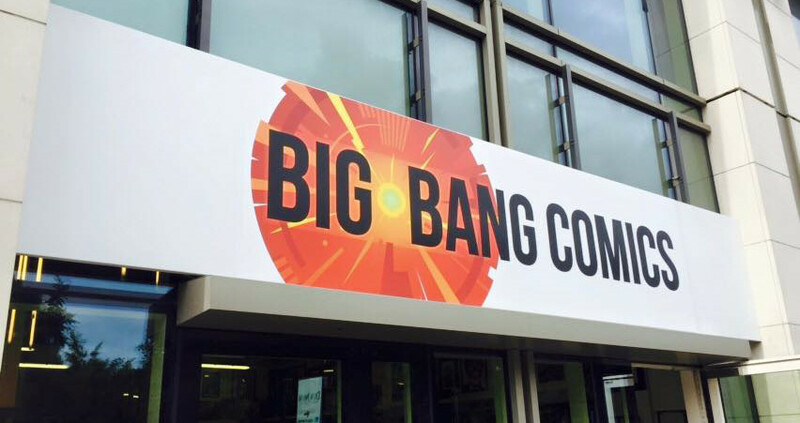 John Hendrick owns and operates Big Bang Comics in Dublin. You can find his shop on Twitter and Facebook, and make sure to check in with them every Monday on Twitter as they break down their weekly in-store sales numbers. It’s fantastic analysis that could provide even more insight into what’s working and what isn’t.